If you look like this at a festival, don't visit the beer garden. I tell you what, by the time I’m finished with this list of festivals I’m going to be a celebration guru – and so are you! Just tonight I found a link to the festival website… and subscribed! You should, too! Let’s jump right in to the gory details and fun to be had around the United States enjoying the local celebrations and rarities! 1. You can tailor your festival choices. 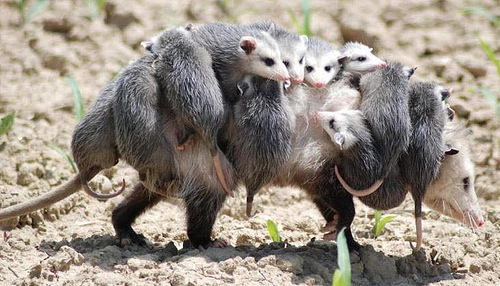 Some people are single and lovin’ it, others (like us) are carting small children around like possums. There are festivals for all sorts of families, singles, weirdos and adrenaline addicts! Just pick your poison! 2. Carte Blanche for Heartburn. When in Rome, do as the Romans do. Seize the moment, the slugburger, and the Pepto Bismol! When else are you going to gain an experience you can brag about to your grandchildren and worth of a facebook status update? Eat yourself silly! 1. Testicle Festival, Clinton, MT. After you’ve put it out there, there’s not really anywhere else to go with this, is there? Up in Montana they celebrate the age-old necessity of de-balling the critters and, always the thrifty types, they eat ’em up. Who wouldn’t feel more manly after eating deep-fried bollacks? 2. Calaveras County Jumping Frog Jubilee, Angels Camp, CA. If you want the truth, the real truth, you must know I love the word “jubilee.” “Jubilee,” in and of itself, would have gotten this festival on the list. Then learning the festival was inspired by the writing of Mark Twain and that frogs and their handlers compete around the country throughout the year to earn spot in this “invitation only” event with a $5,000 purse for the winner, well, that sealed the deal. ¡Viva la salto de rana! 3. Renaissance Festivals, everywhere. Pretty much every state has at least one Renaissance Festival each year. They are classically wonderful, places where you can buy a whole turkey leg and wander around like a slightly dressed up, tights-wearing version of Bam-Bam. Don’t miss it! 4. Taste of Chicago, Grant Park, IL. This, this, this… this is one I’ve been to already. It’s fabulous. It’s festive. It’s smells soooo good! I still dream about this food festival that is the largest in the world. It will change your taste buds, it’s that good! 5. Ostrich Festival, Chandler, AZ. To be fair, perhaps “ostrich” isn’t the term that comes to mind when you think of Arizona. But, be not dismayed, Arizona knows how to put out a good time when it comes to their mammoth egg-layers! This 3-day festival celebrates the biggest and dumbest of fowls with a parade, live entertainment, carnival rides and lots of food. Fest-goers can even sample some ostrich meat, notoriously high in protein and low in fat. Watch out, though, they bite. 6. World Pillow Fighting Contest, Fullerton, CA. I need someone who had participated in this festival to tell me if there are rules about the types of pillows that can be used as weapons. There’s diversity in the land of pillows. If we’re talking the blue striped-ticking pillows from Wal-Mart, we’re safe. But if you get one of those rice pillows from IKEA, someone’s losing an eye. It’s a good way to work out aggression, though! 7. Rattlesnake Festival, San Antonio, FL. Held in mid-October, this is one humdinger of a good time. There’s a classic car show, kids rides and games, a snake show, vendors with all kinds of items made from snake skin. There’s even a “Miss Rattlesnake” pageant. Oddly enough, there’s also a gopher race. Perhaps they wear the little varmints out before giving them to the snakes for a snack? 8. Irmo Okra Strut Festival, Irmo, SC. I’m a big fan of the okra, a vegetable that can be cooked in almost any way imaginable and delicious, plus eaten up raw for a slimy snack. The idea of an okra strutting, ah! What started in the 1970s with frying and selling okra to raise money for a new library has turned into an annual event with upwards of 55,000 attendees. All eating okra! Amazing! 9. Humungus Fungus Fest, Crystal Falls, MI. Rumor has it this festival commemorates the local discovery of a Giant Mushroom, allegedly weighing 11 tons, covering 37 acres, and more than 1,500 years old. That is one big ‘shroom! The original fungus has moved on to the mushroom shangri-la, but each year those crazy folks from Michigan, the state shaped like a hand, celebrate their Humungus Fungus with a Fungus Fest Parade, a pie social, horseshoe tournaments, and a fabulous fireworks display, all in the name of mushrooms. That’s commitment! 10. Rotten Sneaker Contest, Montpelier, VT. Did you know that your feet each have more than 200,000 sweat glands churning out as much as a pint of sweat every day? This obscure fact led to the start of the annual International Rotten Sneaker Contest in 1988. Each March regional winners gather for a shot at a $500.00 savings bond and the honor of having their stinky sneakers enshrined in the “Hall of Fumes.” Last year a 16-year-old won the contest, which is sponsored by Odor-Eaters. You know you’re jealous. Don’t miss Fantastic Festivals, Part 1! Do you have any quirky festivals, contests, or jubilees to add to the list? Which of these 10 would you like to visit? “The Twins Days Festival in Twinsburg, Ohio is the largest annual gathering of twins (& other multiples) in the world!” It goes on to say that non-twins are also invited. There is entertainment and food, and a twins parade! So really, it’s for all the twins (and multiples!) in the world, but it might be fun just to be a part of the experience! That actually sounds like a really fun festival… I’m fascinated by twins. Almost married one once, in fact. (Sooooo glad I didn’t!) Anywho, you should go check it out and then tell me all about it!